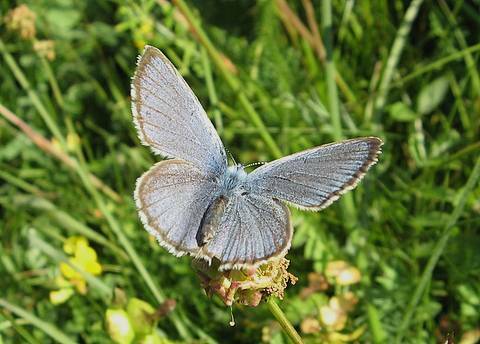 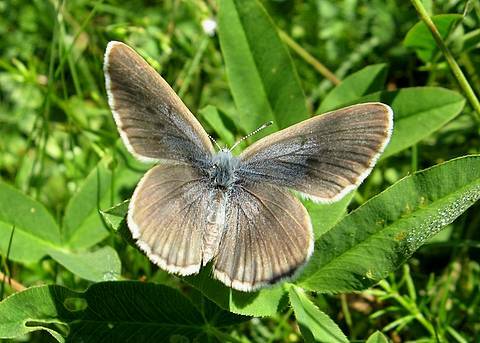 Mountain Alcon Blue is a an extremely local species which tends to fly in upland regions. 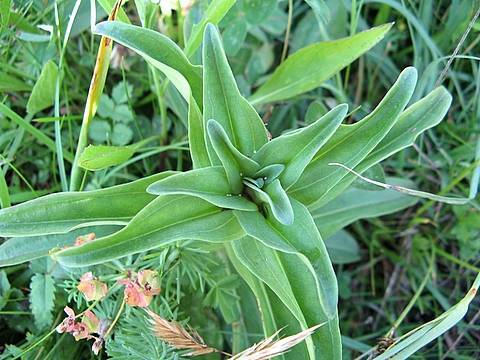 The usual larval food plant is cross gentian (Gentiana cruciata) and the presence of the butterfly may be more easily detected by spotting the white eggs littered across the upper leaves or on the developing flower heads. 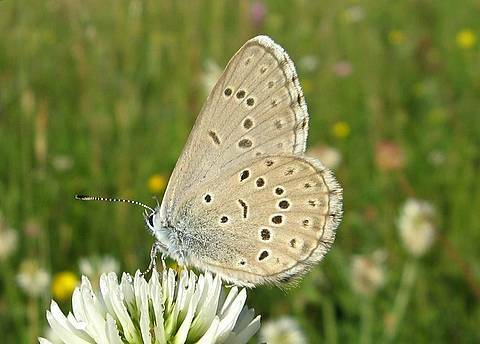 The habitat at this site in the Doubs was south facing, calcareous grassland at 950m where both the gentians and the butterflies were rather low density and needed some searching for.